Since 1940, the Paul Mueller Company has manufactured high quality stainless steel equipment. The work of our dedicated artisans and fabricators is known worldwide on dairy farms and in a wide variety of industrial applications. The Accu-Therm is a compact heat exchanger consisting of embossed heat transfer plates with perimeter gaskets to contain pressure and control the flow of each medium. The gasket plates are assembled in a pack, mounted on upper and lower guide rails, and compressed between two end frames with compression bolts. Fluids enter the Accu-Therm through end frame connections and are distributed to the plates through ports in each corner of the plates. 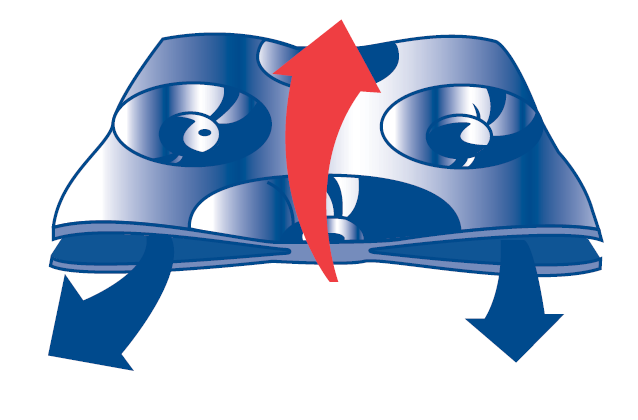 The flow to individual passages between plates in controlled by alternate placement of port gaskets. 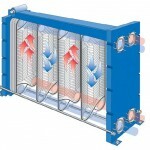 The lightweight Accu-Therm “free flow” plate heat exchanger features an exclusive heat transfer plant designed with a completely open fluid flow channel, making it ideal for viscous products, slurries, and effluent streams that contain particles which can block the low channels and plug up conventional heat exchangers. 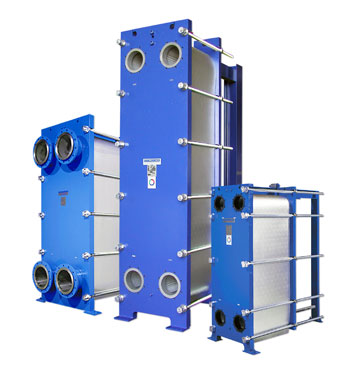 Each medium is individually gasketed in the free flow plate heat exchanger, making it ideal for applications where product contamination cannot be tolerated. In additional, these compact units are easy to disassemble and clean, which means less down time and costs during maintenance. Mueller Temp-Plate heat transfer surface is a panel-type heat exchanger that can be made in an endless range of shapes and sizes. It is ideally suited for applications involving high pressures and temperature extremes. Mechanically polished or electropolished surface finishes are available for sanitary or high purity applications. The features combine to make our Temp-Plate one of the most efficient, economical, and versatile heat transfer products on the market today. Temp-Plate’s design provides for highly efficient heat transfer performance. Its spot welded and inflated channels induce fluid turbulence to attain high heat transfer coefficients. 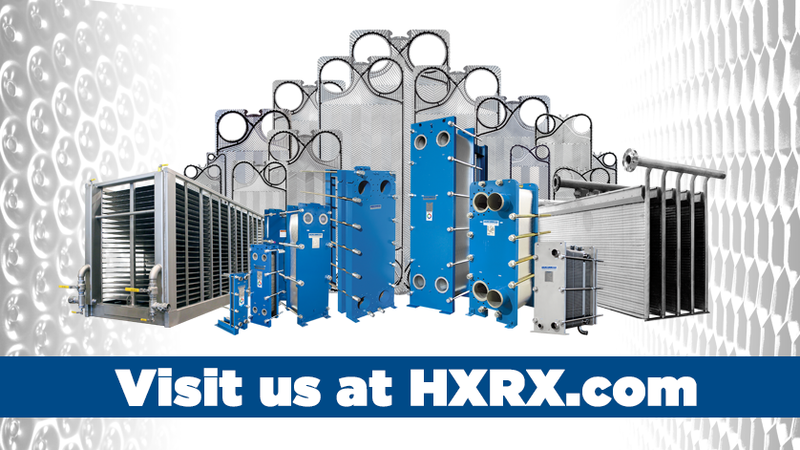 Paul Mueller Company Academy recently posted an informative article, “Good Maintenance Habits for Plate Heat Exchangers“ to help identify possible performance issues. 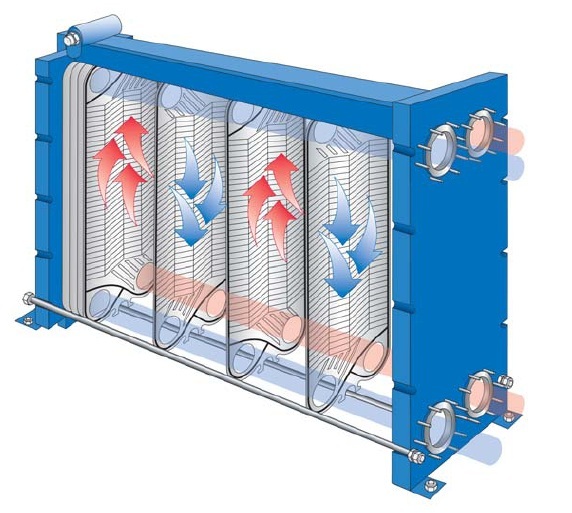 Paul Mueller Company Academy recently posted an informative article, “How to Troubleshoot a Plate Heat Exchanger” to help identify possible performance issues.